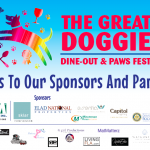 Plenty of paws-pleasing ‘fur and fun’ was unleashed Saturday at the free, open-to-the public inaugural The Great Doggie Dine-Out & Paws Fest (GDD&PF) held to support Tri-County Animal Rescue’s (TCAR) Medical Care Funds presented by Kaye Communications. 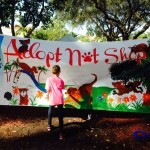 With more than 400 pups socializing, they and their peeps enjoyed an afternoon of pet-themed activities for pet lovers of all ages and their furry friends that began with opening ceremonies with a pups parade of rescue alumni and their families, a popular ‘yoga with dogs’ session, ‘selfie central’ social media photo frame fun, young pet set activities including the painting of an ‘Adopt, Not Shop’ mural that will soon be on display at the entrance of the TCAR campus. 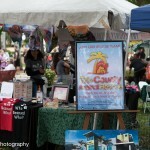 Offering something for everyone, the program schedule included Yappy Hour ‘Singles’ Mingles, a ‘Tails & Tales’ Dog Adoption Showcase with a ‘Smooch The Pooch’ kissing booth featuring TCAR’s current adoptables plus a meet-the-author and photographer book signing for ‘Rescuers Who Rescue’, a pictorial keepsake book created in collaboration between TCAR and the Boca Raton Fire Fighter & Paramedic Benevolent. 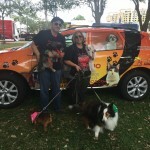 The event culminated with lots of ‘doggie dancing’, an afternoon Fur-Baby Couture Fashion Show, live entertainment and an after-dusk ‘big screen’ movie-in-the-park heartwarming feature film presentation of DreamWorks Pictures and Nickelodeon Movies: Hotel for Dogs. 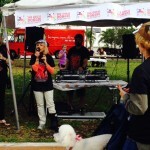 Recognized by New Times as one of the ‘Five Best Food and Drink Events This Weekend’ and as a Weekly Staff Pick by Boca Raton Magazine, there was curbside dining served up by Gourmet Truck Expo, ‘Dogs for Dogs’ hotdog bar and specialty cocktails and frozen and natural pet treats. Entries in the inaugural Great Pet Bed Design Competition – featuring the pet lovin’ talents of designers, artists, and art schools were on display with opportunity for event-goers to vote for their favs with ‘People’s Choice’ award to Boca Raton-based graphic designer Roberta Stealy for her Stiletto Strut. 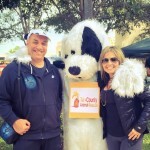 Event co-chairs Bonnie and Jon Kaye of Kaye Communications, TCAR’s official PR and marketing firm, conceived the festivities and gathered a pet-passionate event committee representing a cross-section of the community to promote the features, advantages and benefits of the TCAR rescue and dog and cat adoption center. 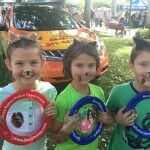 Event-goers learned more about TCAR, Boca Raton’s ‘own’ humane society that is the region’s largest 100% no kill nonprofit that serves as safe haven for hundreds of dogs and cats. 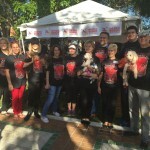 Because significant funds are spent on rehabilitating rescues saved from puppy mills and high kill shelters to successfully ready them for re-homing, proceeds from the event benefited Tri-County’s medical care fund. 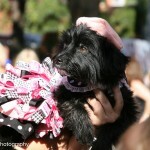 Since TCAR receives no local, state or federal government funding for operations, medical treatment and housing, the monies raised will fund needed vet care, isolation monitoring, surgeries, therapy, medications and the healthy birthing of litters in addition to wellness care such as vaccinations and vitamins. 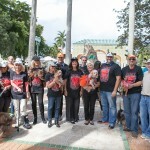 The inaugural event is produced and presented by Kaye Communications Marketing & PR, supported by sponsors including Sklar Furnishings, Elad National Properties, Essentia, Capitol Lighting, Rotary Club Downtown Boca Raton, Minuteman Press Boca Raton, Boca Tribune and V.P.A. Interior Design. 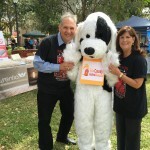 ‘Pet Pal’ Donors: Boca Council Member Robert and Pam Weinroth; Susan & Jim Saturday; Bonnie & Jon Kaye. 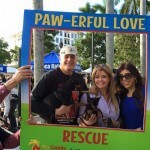 Event partners included Downtown Boca, Palm Beach Outdoor Cinema Events, Gourmet Truck Expo, Potions in Motion, DJ Roberto Patroni, MatMatterz, G girl Productions, LivingFLA.com, singer-songwriter and recording artist Kendra Erika, Waterstone Resort & Marina and more. 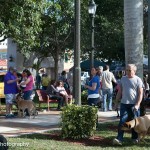 For photo, visit http://www.kcompr.com/pawsfestboca/. 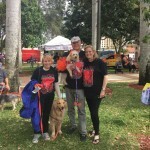 To become a sponsor, partner, exhibitor or volunteer for the next Great Doggie Dine-Out & Paws Fest and Great Pet Bed Design Competition, contact Jon Kaye, Kaye Communications at jkaye@kcompr.com or 561-392-5166.